A new channel has started in DVB-S2 Irdeto 2 & VideoGuard: CBeebies (United Kingdom) on 11123.00MHz, pol.H SR:27500 FEC:2/3 SID:20907 PID:581[MPEG-4]/582 English. Sky Digital: A new channel has started in DVB-S Clear: CBeebies (United Kingdom) on 10773.00MHz, pol.H SR:22000 FEC:5/6 SID:6338 PID:5200/5202 nar,5201 English. Sky Digital: CBeebies is back on 12422.00MHz, pol.H SR:27500 FEC:2/3 SID:6818 after a break ( PID:5700/5702 nar,5701 English - Clear). Sky Digital: CBeebies is back on 12422.00MHz, pol.H SR:27500 FEC:2/3 SID:6338 after a break ( PID:5700/5702 nar,5701 English - Clear). BBC & Freesat & Sky Digital: New frequency for CBeebies: 10773.00MHz, pol.H (DVB-S SR:22000 FEC:5/6 SID:6318 PID:5200/5201 English,5202 English- Clear). Multichoice Africa: New frequency for CBeebies: 11766.00MHz, pol.V (DVB-S SR:27500 FEC:3/4 SID:1908 PID:191/193 English- Irdeto 2). BBC: CBeebies is now encrypted in BISS (11495.00MHz, pol.V SR:44100 FEC:9/10 SID:4672 PID:401/402 English,406 English). 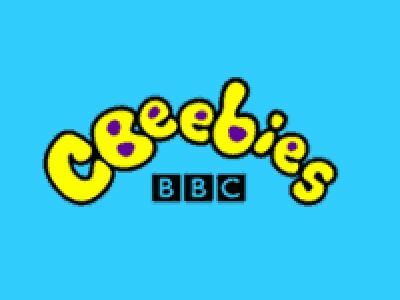 BBC: CBeebies (United Kingdom) is now transmitted Free To Air (11495.00MHz, pol.V SR:44100 FEC:9/10 SID:4672 PID:401/402 English,406 English). CBeebies switched to Astra 1N satellite at 10803.00MHz, pol.H (DVB-S , 10803.00MHz, pol.H SR:22000 FEC:5/6 PID:5600/5601 English,5602 English). Multichoice Africa: CBeebies is now encrypted in Irdeto 2 (11747.00MHz, pol.H SR:27500 FEC:3/4 SID:1402 PID:321/322 English). Multichoice Africa: CBeebies (United Kingdom) is now transmitted Free To Air (11747.00MHz, pol.H SR:27500 FEC:3/4 SID:1402 PID:321/322 English). N: A new channel has started in DVB-S2 Conax: CBeebies (United Kingdom) on 10834.00MHz, pol.V SR:27500 FEC:3/4 SID:3508 PID:519[MPEG-4]/619 Polish. Multichoice Africa: New frequency for CBeebies: 11843.00MHz, pol.V (DVB-S2 SR:27500 FEC:2/3 SID:7010 PID:769[MPEG-4]/770 English- Clear). BBC & Freesat & Sky Digital: New frequency for CBeebies: 10803.00MHz, pol.H (DVB-S SR:22000 FEC:5/6 SID:6418 PID:5600/5601 English,5602 English- Clear). Sky Digital: New PID for CBeebies: PID:2331/2333 SID:0 (11720.00MHz, pol.H SR:27500 FEC:2/3 - VideoGuard).